Easy to install? They’re the simplest we’ve ever installed! Decorum Technology is a nationwide AV installer with a long list of clients – each with their own unique requirements. We love working with them, because they always challenge us to come up with something special. On this occasion, Decorum’s client – one of Bolton Football Club’s players – needed their help with refurbishing a residential property in Bolton. Our role wasn’t just providing the right choice of waterproof televisions. We needed to make Decorum’s job easy too, so that they could meet their client’s requirements exactly. We did that. And that meant that Decorum was able to do everything their client required. 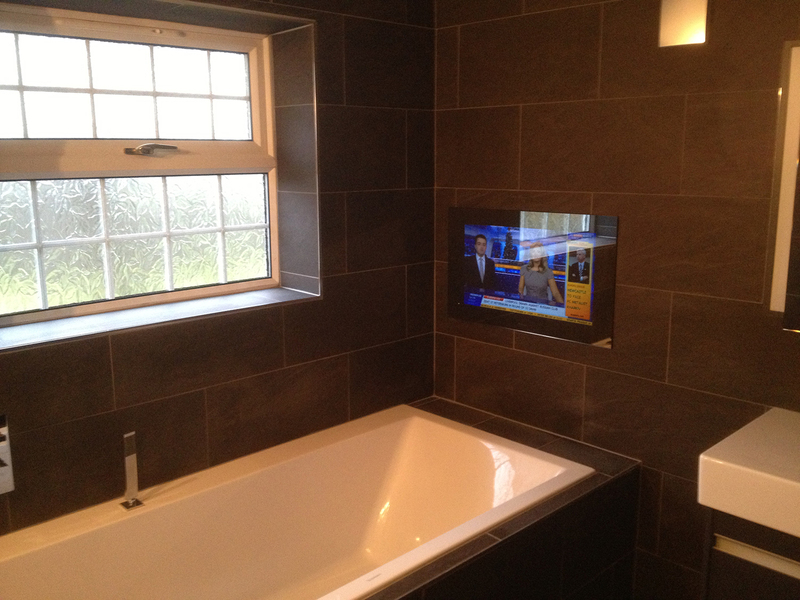 They gave their client a flush-to-the-wall Bathroom TV – making for a seamless finish and a very happy customer.